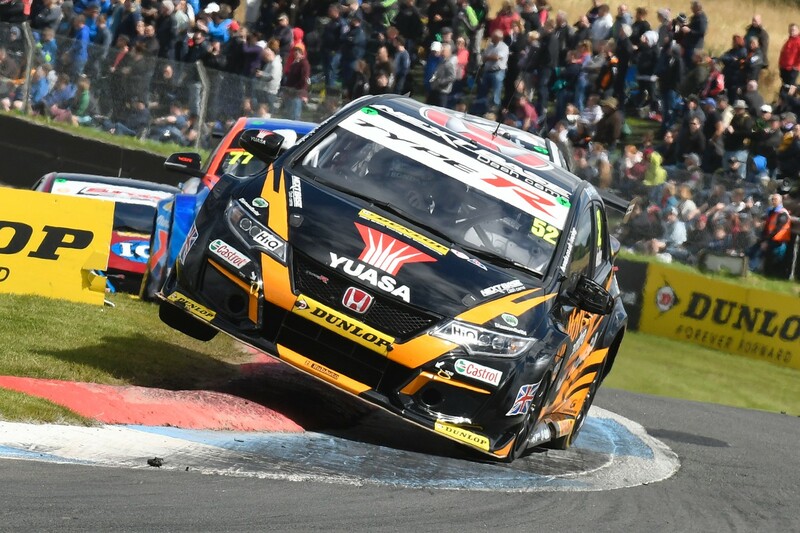 Halfords Yuasa Racing star Gordon Shedden kept firmly in touch of the Dunlop MSA British Touring Car Championship title with a second-place finish in the final race at his home track of Knockhill. Matt Neal also drove his way into the points in two of the three rounds to keep within touching-distance of the top three drivers in the table and ensure the battle for the Teams’ and Manufacturers’ titles stays very much alive. The weekend started with a frenetic qualifying session as a damp track developed a dry line in the final minutes of the half hour session. Triple champion Shedden, on home soil, was disappointed to have qualified his Honda Civic Type R in ninth place, believing the car to be capable of better – his inability to find space for a strong lap was to blame. Meanwhile, Neal qualified in 21st – his switch to slick tyres just a little too late. As championship leader following the recent event at Snetterton, Flash was hampered by 75kg of success ballast in Round 19 and battled around the short, tight Knockhill track to 11th. Fellow three-time title winner Neal was on a charge from 21st and scythed his way through the field to an impressive ninth. The momentum was to come to a standstill however in race two, when the West Midlands driver was tapped out of a dramatic battle for eighth by Josh Price. Meanwhile, Shedden kept up the challenge for championship spoils with a solid drive to sixth and ten much-needed points. The trip to Scotland did end on a high for local hero, Shedden, taking the podium and a strong haul of points, with a third consecutive crown still very much in sight as the team head to Rockingham in Northamptonshire in two weeks’ time. Neal finished his weekend with a valiant fightback drive through the field to take eighth.